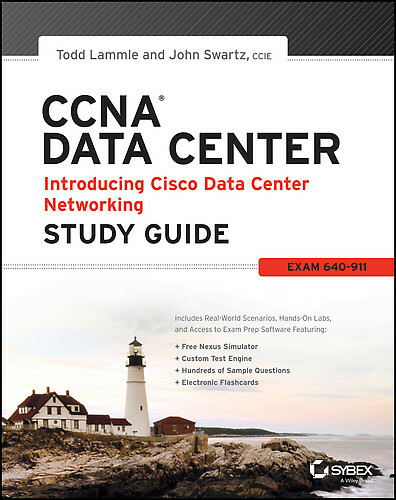 I am continuing the ongoing of series of blog posts that follow the CCNA Data Center Study Guide from Todd Lammle. I figured that this type of post would help me and anybody else looking at studying for the exam. Feel free to post questions below as if on a study group, In these post I am only going over the topics of each chapter of the book, plus any examples the book offers and to get an idea of what the Cisco exam would cover. Continuing where we left off from chapter one let’s begin chapter 2. Overview: Chapter 2 goes over the difference between a broadcast domains and collision domains and how to find them. What does the “Router” do for us when using it in a LAN? What are the advantages of it and the functions it offers? We also were introduced into the OSI model. What is it and what are the advantages of it? Todd also went over each layer of the model with more detail on the Transport layer, Network layer and the Data Link layer. For example in the Transport layer we learned about the TCP and UDP and the difference between those two protocols. Along with understanding TCP’s connection-oriented process, the three-way handshake. We also looked other features that TCP offers like what does flow control do for us? Along with understanding what windowing and acknowledgments are. Going from layer 4 to layer 3 we were introduced into the network addresses and what they do along with knowing some terminology like routing tables, interfaces, and metrics. Going down from layer 3 to layer 2 what is a frame vs. a packet and what is the difference between the Media Access Control (802.3) and the Logical Link Control (802.2) Finally at layer 1 this chapter talked a bit about the cabling standards but it lets you know why hubs are a layer 1 device and the difference between switch and a hub. My thoughts: This chapter goes over a lot of material that was somewhat introduced in chapter one but goes further into details. I would study the OSI model and its different layers if you have never used it before. Like on chapter one I would go over the review questions starting on page 54 before skipping this chapter. Like before if you have questions on chapter two comment below and the check back next week for chapter three!